( Newton, NC – September 7, 2010 ) Hickory Motor Speedway will host Ruckus House Night presented by Steele Rubber Products this Saturday, September 11, 2010. Former wide receiver for the Carolina Panthers, Muhsin Muhammad, will join the festivities at the Birthplace of the NASCAR Stars in support of the Ruckus House. The night will feature racing action from the NASCAR Whelen All-American Series with appearances by the Bojangles Late Models, the Everything Attachment Super Trucks, the Hickory Street Stocks, the Hickory 4-Cylinders, the Red Baron Race Parts Hobby Stocks and twin 25-lap features for the Advance Auto Parts Limiteds. The points battle between the No. 10 of Andy Mercer and the No. 88 of Kyle Mansch is intense, as they both have their eyes set on the Bojangles Late Model Championship. There is a mere 24 point difference between the first place Mercer and second place Mansch. Will Mansch be able to catch Mercer this weekend or will Mercer head into the Championship event (Saturday, September 18, 2010) with an even bigger lead? Grandstands for Ruckus House Night presented by Steele Rubber Products open at 5 p.m., with qualifying immediately following. 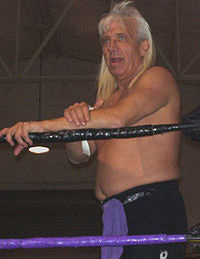 Fans can meet Muhsin Muhammad and professional wrestler Ricky Morton from the Rock N Roll Express, along with some of their favorite drivers during an autograph session at 6 p.m., the green flag will fall at 7 p.m. Tickets are $10 for adults, $8 for teens and seniors, $5 for kids 7- 12, with kids 6 and under FREE! The Ruckus House concept came about when several professional football players from the Charlotte, North Carolina region began looking for childcare for their own families. While some daycare facilities offered excellent academic programs, the players wanted a program that combined education, play and a third ingredient: Christian character building. The Mission of the Ruckus House Learning Centers is to provide a safe, happy and nurturing environment for the children who are placed in our care. We are committed to providing educational and enrichment programs led by trained and skilled teachers. Our programs are designed to enhance and stimulate spiritual, intellectual, physical, social, emotional and creative growth in each child. We are committed to offering convenient, affordable, and high quality child care to our families.